All telephone calls are strictly confidential. Forming a union at your workplace gives you and your co-workers the power to stand up for your families, your futures and yourselves. Through a legal, binding contract it gives you a strong, collective voice to demand decent working conditions with fair pay and benefits. 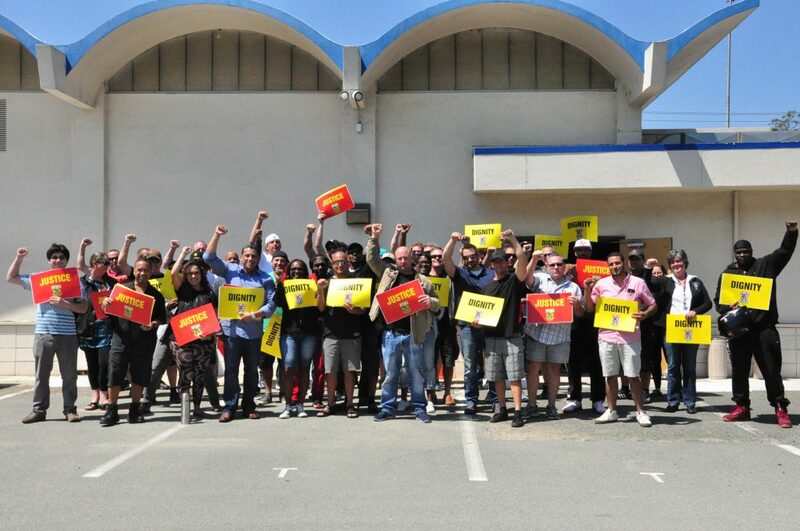 Our mission is to fight for decent working conditions, better pay, strong benefits, and dignity and respect on the job. Once you and your co-workers become Teamsters, working with your local union representatives, contract language and proposals for negotiations are developed. Local Union officers and business agents fight with you to win a fair, good-paying Teamster contract with job protection that you deserve. Teamsters contracts are the best in the labor movement. We have earned our reputation for bargaining hard and demanding the best protections and wages. For a century Teamsters solidarity has kept corporate America from holding the cards and calling all the shots. When you join the Teamsters you put that history to work for you.